TORONTO , March 6, 2019 /CNW/ - Scotiabank and Disruption Ventures today have announced a partnership that will provide women with support to take their business to the next level. The milestone investment will be additive to The Scotiabank Women Initiative, which helps women with access to capital, support from senior business leaders, and education tailored to their needs. "Women entrepreneurs are a huge commercial opportunity," says Elaine Kunda , Founder and Managing Partner of Disruption Ventures. "Early-stage investing is only one part of a company's success, which is why I am proud to announce this very unique strategic partnership with Scotiabank. Access to capital and banking services are critical to the sustainable growth and long-term success of any business. Scotiabank's support will create tremendous value for our portfolio companies." "When we launched The Scotiabank Women Initiative in December 2018 , we committed to supporting women business leaders through access to capital, education, and mentorship, and we've seen early success and tremendous engagement," says Gillian Riley , President & CEO, Tangerine, and executive sponsor of The Scotiabank Women Initiative. "Research has shown that women are significantly underserved in venture capital markets. Funding female entrepreneurs is what drives tangible change, and our partnership with Disruption Ventures is another way for us to expand access to capital and deliver on our promise." Disruption Ventures will proceed with making initial investments and continue to fundraise to reach its objective in 2019, at which point it will be the largest private, independent, and women-only fund in Canada . Disruption Ventures is the first private Canadian female-founded venture capital fund that invests in businesses founded or managed by women. Recognizing that women-led companies are underfunded, despite their ability to perform and grow successful businesses, Disruption Ventures is committed to being the starting point for the very best female founders when early stage capital is required. 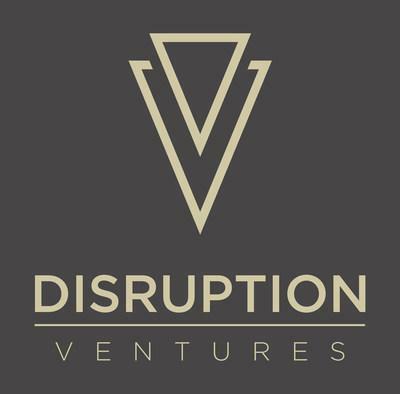 For more information, please visit www.disruption-ventures.com and connect with us on Twitter @Elaine_Kunda and @DisruptionVC.